If you have been keeping track of the Malaysian Budget, you may recall that Budget 2015 had announced several incentives under the strategy ‘Strengthening Economic Growth’. One of the incentives announced is the incentive for the establishment of principal hub. Back then in the Budget announcement, there was little information of the incentive apart from being a continuous effort of the Government to increase the number of multinational companies’ global operational centres in Malaysia. More information has since been provided following the announcement by the Ministry of International Trade and Industry (MITI) on 6 April 2015 and 8 April 2015. This new incentive, which will come into effect on 1 May 2015, will replace incentives for International Procurement Centre (IPC), Regional Distribution Centre (RDC) and Operational Headquarters (OHQ) that will be terminated by 30 Apr 2015. The IPC, RDC and OHQ were incentives schemes introduced many years back with the earliest being OHQ introduced in YA 1990. How does this new incentive work? 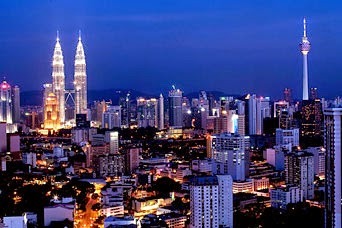 This incentive is available to a principal hub which is a locally incorporated company that uses Malaysia as a base for conducting its regional and global businesses and operations to manage, control, and support its key functions including management of risks, decision making, strategic business activities, trading, finance, management and human resource. An approved principal hub is eligible for the tiered rate of corporate tax reductions subject to meeting criteria set such as carrying out at least 3 qualifying services, annual business spending and employment requirement based on the tiers etc. There is a 5 year block for each tier with the highest being Tier 1 given a zero percent tax rate. An extension of another 5 years is allowed for each tier subject to fulfilling additional conditions apart from the conditions in the initial 5 year block. The approved principal hub will also enjoy other facilities such as customs exemption for raw materials, components or finished products, no requirement for local equity/ownership, acquisition of fixed assets for carrying out operations of its business plan etc. Principal hubs are given flexibilities to comply with the conditions by end of Year 3 of each tier. Failure to meet the conditions will result in the claw back of the tax taken from Year 1. This incentive is effective for applications submitted to MIDA from 1 May 2015 until 30 April 2018. Companies that have completed the IPC, OHQ or RDC incentives scheme are also eligible for the principal hub incentive by complying with the criteria for Tier 1. For more information, please visit the website of MIDA.